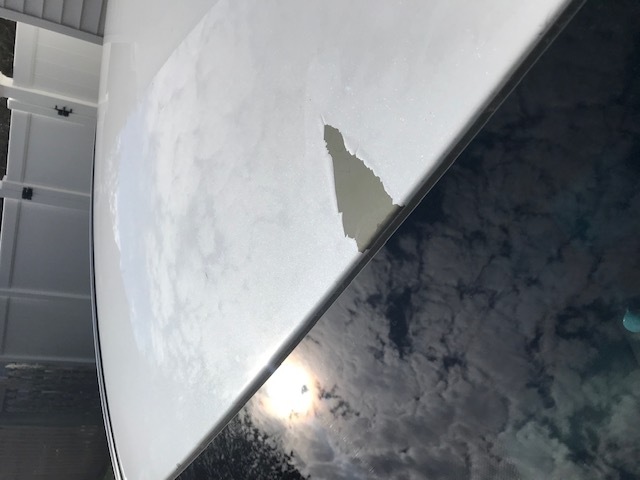 In October of 2017 I noticed a big piece of paint peeled from the leading edge of the roof. This is on my 2015 Sonata so it was only 2 years old. When I took it to the dealer on my next appointment it had peeled in a couple other areas too. I talked to the service manager who was dismissive immediately. He tried to blame it on rocks but I proved him wrong and after him scrutinizing it for awhile asked if I had the paint protection warranty. I did buy it with the car at that dealership. He had me get an estimate from their body shop and it came out to $1500 so I guess that was too high and he backed off on paying for the painting. He finally agreed to have their "Paint guy" do a patch job on it. I was willing to accept that if he could promise me that it would be indiscernible from original paint. But I had to come in when the weather permitted his work outside and on a Wednesday. WTH! So I haven't been able to get the damn car in there on their schedule. Now I found out that the hood is also flaking off with just a hose spraying water on it. The crappy white paint was all over my drive way after washing it yesterday and now I am pissed. Need advise on how to handle these pricks. Anyone?